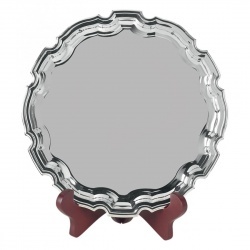 Why not add a sense of tradition to your awards ceremony with these silver plated and nickel plated traditional heavy gauge trays and salvers? 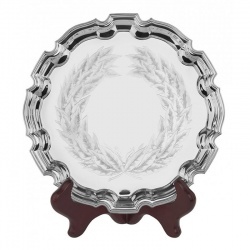 Perfect for a wide range of recognition and achievement awards, including as wedding and christening gifts, this range of salvers and trays is suitable for all budgets. Many are supplied complete with a hinged satin-lined presentation cases, others are offered with the case as optional along with hinged tray display stands. 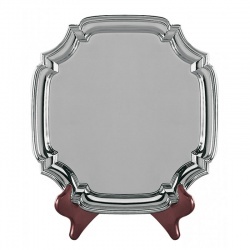 Heavy gauge nickel plated square Chippendale tray, 4.5in across, optional stand and/or case. 10in dia, nickel plated, with large laurel wreath decoration. 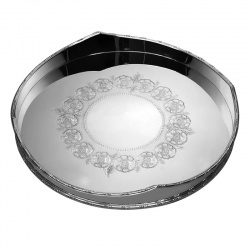 Heavy gauge nickel plated round Chippendale tray, 5in, optional case and/or stand. 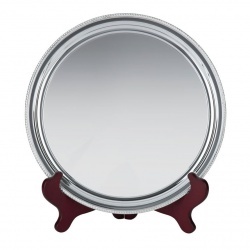 Heavy gauge nickel plated round tray with gadroon edge, 6in dia, optional stand and/or case. Heavy gauge, nickel plated round tray, optional stand & case. 6in dia. Silver Plated Chippendale Style Tray in Presentation Case. 8in dia. Wavy Edge Gadroon Salver with Feet. Cased. 9in dia. Gadroon Mounted Salver in Presentation Case. 7in dia. 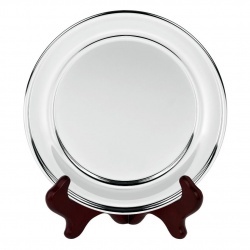 Heavy gauge nickel plated round Chippendale tray, 7in, optional case and/or stand. Silver Plated Round Tray, Olde English, in Presentation Case. 5in dia. 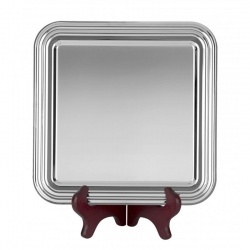 Heavy gauge nickel plated square Chippendale tray, 7in across, optional stand and/or case. 7in Heavy gauge, nickel plated finish, optional stand & case. Heavy gauge nickel plated square Chippendale tray, 10in across, optional stand and/or case. 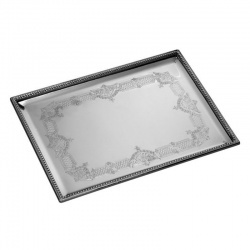 Heavy gauge nickel plated square Chippendale tray, 8.5in across, optional stand and/or case. 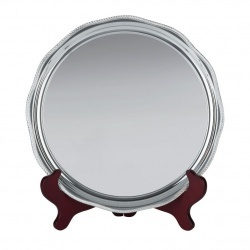 Heavy gauge nickel plated round tray with gadroon edge, 8in dia, optional stand and/or case. 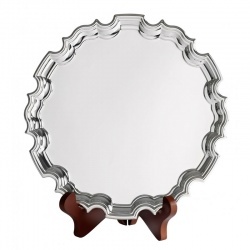 Heavy gauge nickel plated round Chippendale tray, 8in, optional case and/or stand. Heavy gauge, nickel plated round tray, optional stand & case. 8in dia. 9in Heavy gauge, nickel plated finish, optional stand & case. Heavy gauge nickel plated round tray with gadroon edge, 10in dia, optional stand and/or case. Heavy gauge, nickel plated round tray, optional stand & case. 10in dia. Silver Plated Chippendale Style Tray in Presentation Case. 10in dia. Silver Plated Round Tray, Olde English, in Presentation Case. 6in dia. 10in dia Silver Plated Dish Tray in Presentation Case. Optional Stand. 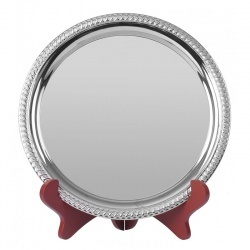 Gadroon Mounted Salver in Presentation Case. 11in dia. 8in dia Silver Plated Dish Tray in Presentation Case. Optional Stand. Gadroon Mounted Salver in Presentation Case. 9in dia. 11in Heavy gauge, nickel plated finish, optional stand & case. 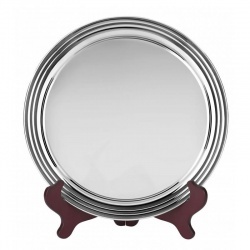 Heavy gauge nickel plated round Chippendale tray, 10in, optional case and/or stand. Wavy Edge Gadroon Salver with Feet. Cased. 11in dia. 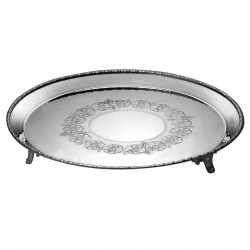 Heavy gauge nickel plated round Chippendale tray, 12in, optional case and/or stand. Heavy gauge nickel plated square Chippendale tray, 12in across, optional stand and/or case. Heavy gauge nickel plated round tray with gadroon edge, 12in dia, optional stand and/or case. Heavy gauge, nickel plated round tray, optional stand & case. 12in dia. Silver Plated Chippendale Style Tray in Presentation Case. 12in dia. Silver Plated Round Tray, Olde English, in Presentation Case. 11in dia. 12in dia Silver Plated Dish Tray in Presentation Case. Optional Stand. 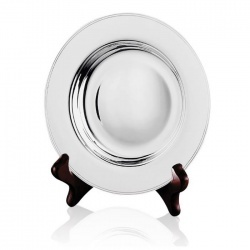 Handchased Silver Waiter Tray. Optional Luxury Presentation Case. Silver Plated Round Tray, Olde English, in Presentation Case. 9in dia. 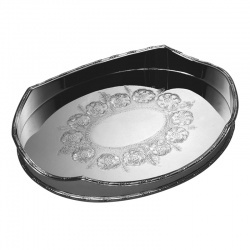 Hand Engraved Oval Silver Tray. Optional Luxury Presentation Case. Handchased Round Silver Tray. Optional Luxury Presentation Case. Handchased Silver Card Tray. Optional Luxury Presentation Case.